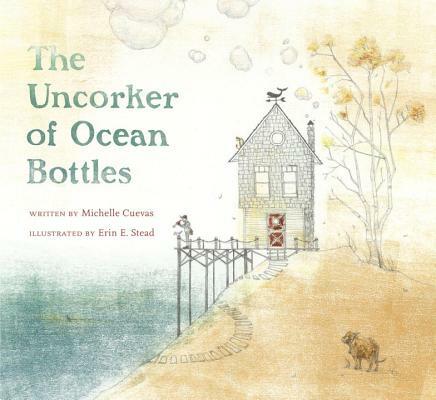 The Uncorker of Ocean Bottles, who lives alone atop a hill, has a job of the utmost importance. It is his task to open any bottles found at sea and make sure that the messages are delivered. He loves his job, though he has always wished that, someday, one of the letters would be addressed to him. One day he opens a party invitation -- but there's no name attached. As he devotes himself to the mystery of the intended recipient, he ends up finding something even more special: the possibility of new friends.